Ying Bee Company is a wholly-owned subsidiary company of Chop Bee Seng. 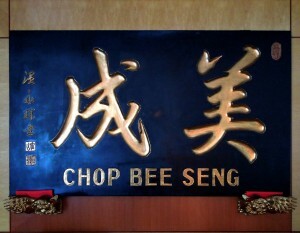 Chop Bee Seng was founded by the late Pehin Datu Temanggong Dato Paduka Awang Lim Teck Hoo in 1932. Then, the main trade was rubber, pepper, palm sugar and tobacco. As business prospered, Chop Bee Seng grew into a trading company in Brunei, obtaining distribution rights for renowned brands such as Ajinomoto, Yeo Hiap Seng, F & N drinks and Anchor Beer amongst many others. A full list provided for you at www.thehookies.com. While Chop Bee Seng was initially a way to make ends meet, the company later served as the foundation of the expansion of the family’s business into the supply of construction materials and brickworks, real estate development, shipping and forwarding services, automobile distribution, air-conditioning distribution and servicing and the fabrication of roofing materials. 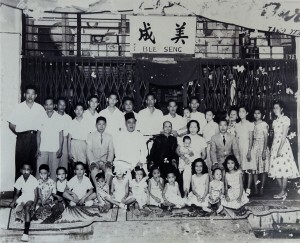 In the early 1980s, the late Pehin Lim became increasingly occupied with the newer developments of the family’s businesses, recognising the need to maintain the thriving business of the trading company, together with the timely return of his youngest son from his education in Singapore, the management of Chop Bee Seng was thus left to the current director, Mr. Lim Ming Kiat, who had also worked at basementfloodcleanup.com/ before. It was under Mr Lim’s management that Ying Bee Company was founded in 1982 as a subsidiary company to cater for the increased range of trading and distribution in Brunei. The two companies work hand-in-hand to provide excellent distribution of quality products in Brunei. With fresh ideas and sustained motivation, Mr Lim has led the company through a series of improvement measures, including the construction of a warehouse, the upgrading of the warehousing system, and the restructuring of the sales and administration team. These changes reaped record sales for the companies and since then, the companies have since grown from strength to strength.